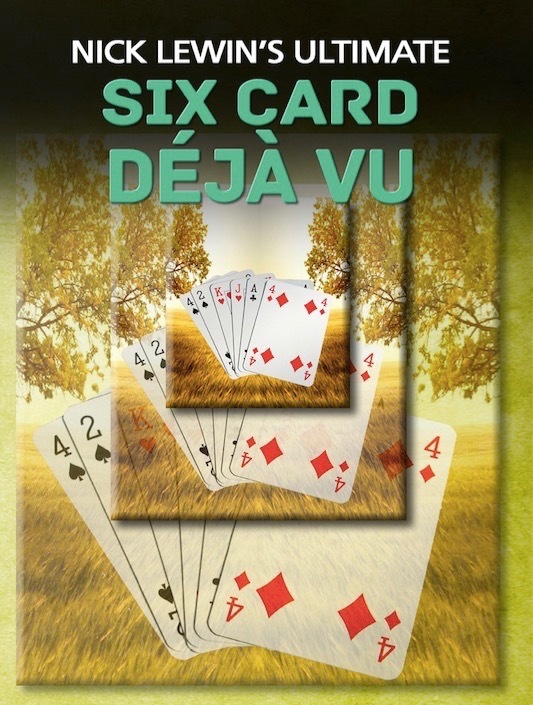 We have just released my routine The Ultimate Six Card Déjà Vu, which is my handling of the classic 6 Card Repeat. I was looking through my old columns from Magic New Zealand and discovered this piece about the man who inspired me to perform the routine in the first place. More importantly it explains why it became such an important item in my repertoire. 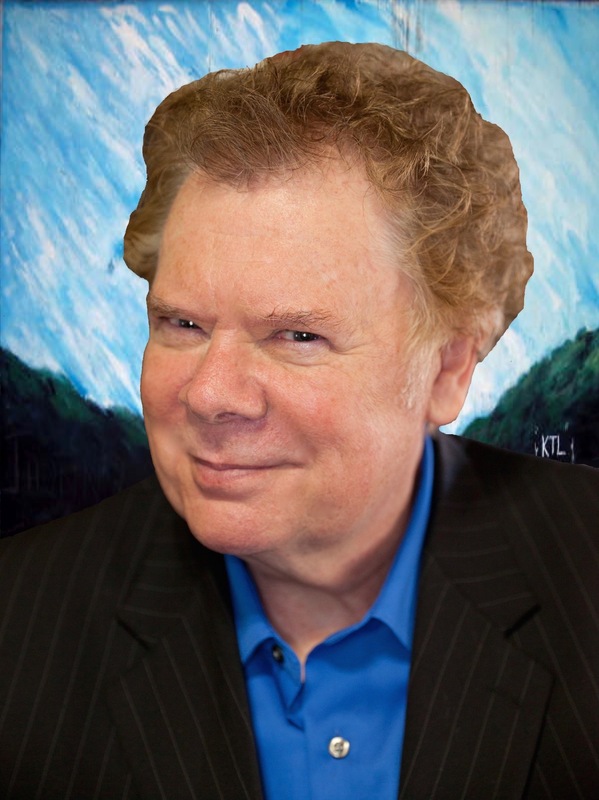 A tip from Glenn Haywood that is worth its weight in gold. One of the very best pieces of advice I was ever given in Magic was by a magician I hardly knew and only met once more very briefly while I was working at the Magic Cellar in San Francisco. 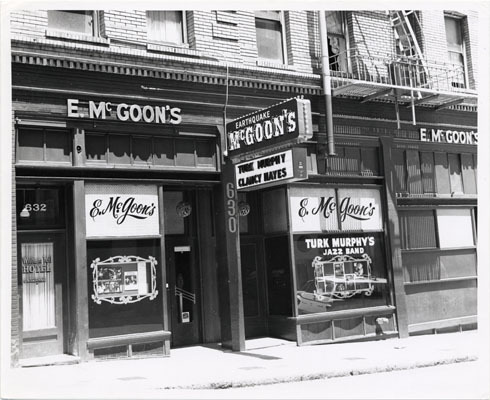 The Magic Cellar was a really cool little nightclub that was nestled in the basement of a wonderful jazz club called Earthquake McGoons. The man who gave me these words of advice was Glenn Hayward. The Magic Cellar was an intimate club run by Cedric and Jan Clute back in the seventies. Cedric was the man who discovered the vast collection of Carter the Great posters, handbills and props. He created the perfect living museum for them in his lively nightspot on the border of Chinatown. 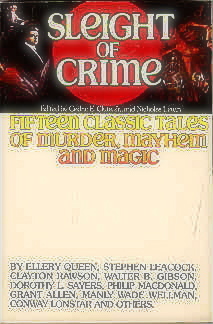 I worked at the Cellar quite frequently as Clute and I jointly edited a book of magical murder mystery stories entitled ‘Sleight of Crime.’ It was the very first book to feature reprints of the Carter material. I have long since ceased to make any money from the book (did I ever?) but it is a fun book and worth a search on Amazon.com. I spent many happy weekends in San Francisco working at the ‘Magic Cellar’ and working on the book. I met many fine performers and characters during those San Francisco nights and learned a great deal about performing. One night Glenn was working with me at the club and we started to talk about our craft. It began when I complemented Haywood on his opening trick, a very smooth version of the classic Six Card Repeat. “It is a really good opener.” Said Glenn. I asked him what made it such a good opener for him and his reply was that he could perform the entire routine without ever looking at his props and that allowed him to never break eye contact with the audience. Now I have a special affection for the venerable Six Card Repeat and could add a few other reasons why it is a great trick but it was Glenn’s very simple concept that struck a chord in my mind. It has become almost a cliché to talk about the importance of the audience’s first impression of a performer but this is a very simple way to do something about it. By keeping your eyes (and therefore your attention) on the audience during this vital period you can achieve a very significant bond with your spectators. If you forget about what is going on in your hands the audience subconsciously responds to you as a person instead of a performer. You immediately appear confident, open and friendly. It is the audience’s job to watch what you’re doing and not yours. Your job is to reach out and grab the crowd and if you take the time to ‘work’ the audience with your attention then they are more likely to repay the courtesy. I thought about this idea for quite a long time before I realized what fabulous advice it was and it has been a cornerstone of my performing arsenal ever since. I wish I had a chance to get to know Mr. Hayward a little better but I pass on his advice with every hope it might influence another rookie magician. Thank you Glenn. ~ by Nick Lewin on January 23, 2016. Another classic done in the Lewin style. Nick always gives you the history, credit and reasoning behind the tools that have made him successful. This time, he also drops a mystery title, “Seight of Crime,” a book that I remember him working on back when I first met him in 1976. Take the time to find, and read it. It is a refreshing piece that you will enjoy, a welcome change from all that “junk” that you fill your head from that silly cell phone of yours. And now, you have an offering from Nick, that you can open OR close your show. Something to be proud of, and a piece that an audience will really enjoy! How many ads of new “tricks” have you seen, this or any other month for that matter, in the magic ‘rags’ that can honestly make the same statement??? Don’t bother to look, there aren’t any! Thank you Tim. It was great advice that I took very much to heart and really affected my performing—that don’t come around often either! The real audiences do and are the ones to entertain, make smile and impress. “Digging Roads” for a living. To me, being a “Magical ENTERTAINER” is a better life. All you have to do is ,use your brain, listen and learn from the people that have been there. What could be easier?